We can't wait for you to join us in CPACS! Our students are our top priority. Nothing provides our faculty and staff with more pride and sense of accomplishment than watching our students graduate and transform communities. Don't wait to get started and apply today! Once you've made the decision to become a Maverick, start your online application and have all required materials ready. *The priority deadline for scholarship consideration for the fall semester is February 1. An Application for Graduate Admission must be filed with the UNO Office of Graduate Studies. Please Note: All students, except current junior and senior level students must complete a graduate application, or intercampus registration form for those students admitted to graduate programs at the other University of Nebraska campuses to receive graduate credit for any graduate level courses taken at UNO. Special permission is required for junior or senior-level students to register for graduate courses. Here are links to those forms: Undergraduate Juniors Request to Register for Graduate Credit and Undergraduate Seniors Request to Register for Graduate Credit. Students interested in transferring to the College of Public Affairs & Community Service can apply through the UNO Office of Admissions page. CPACS continues UNO's tradition of global engagement with international partners and a variety of programs to assist international students. 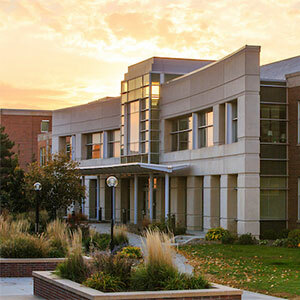 Students interested in taking one or more classes at CPACS but are not pursing a degree at UNO. 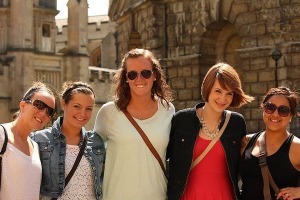 Students in London during the Criminology and Criminal Justice Study Abroad Program.